After our seven hours long drive from Kodaikanal to Ooty transitioning through the mountains (2133 m) to plains (411 m) and again higher terrains (2240 m) we reached Ooty. The hairpin bends followed us here as well, making for an adventure on a cloudy night. It was pretty cold and we reached Colonels Inn, a beautiful yellow bungalow quite late in the night where Mr Sangliana (caretaker) and Mr Gopal (cook) were waiting for us. I was dead tired to see anything but bungalow's vintage feel caught on me immediately. The cream and white interiors and in contrast red-brown colored linen had an instant calming effect on me. After having honey and lemon tea we straight went to sleep. The morning was fresh like dew and started on a happy note. The view from our first floor room was that of blue mountains and it was surreal. 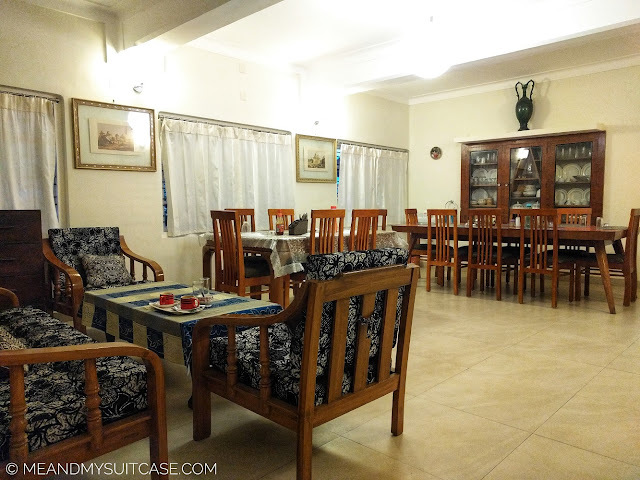 Colonels Inn is an ancestral bungalow with eight large spacious rooms, an open terrace with a stellar 360 degree view, a manicured garden in front and Sacred Heart Cathedral in the opposite lane. Opened in February 2016 for the guests, this Bed & Breakfast is in the heart of the city and most of the attractions are at walking distance, like Ooty's Botanical Garden, old shops, cafes, Ooty lake and even the railway station from where you can take a joy ride in the UNESCO Heritage - Nilgiri Mountain Railway aka Toy Train. This G+1 property has more books than furniture 😊 It also has a huge TV with game console in the lounge on first floor and some indoor games. While on the ground floor they have dining hall and kitchen. 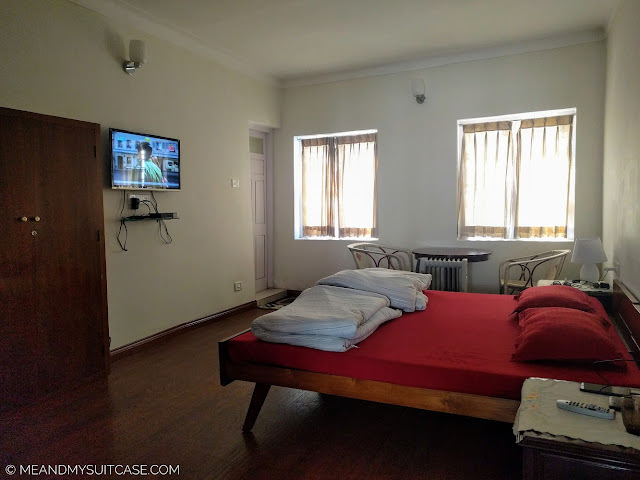 Each room has a TV as well, free wifi and an attached bathroom - toilet. There are four to five rooms on each floor. During our stay, we mostly had breakfasts and dinners at Colonels Inn while we tried lunch in the city as we explored it. The taste of food reflects the love with which it is cooked, well, all our meals were full of love. Mr Sangliana and Mr Gopal were two great hosts and as Colonels Inn said, the pleasant staff shall be your host, stood true to its promise. They were helpful, caring and I had a pleasant, comfortable two days of peaceful lazing - gazing at the mountains through my window. Cozy, spacious, comfortable, neat and clean interiors. Food is great, breakfast is well priced though lunch and dinner prices can be toned down a little. Right in the heart of the city and open area, away from commercialized part of Ooty, no vehicular traffic in the area. It is quaint and enchanting. Budget stay. While I was here it felt like time stood still. 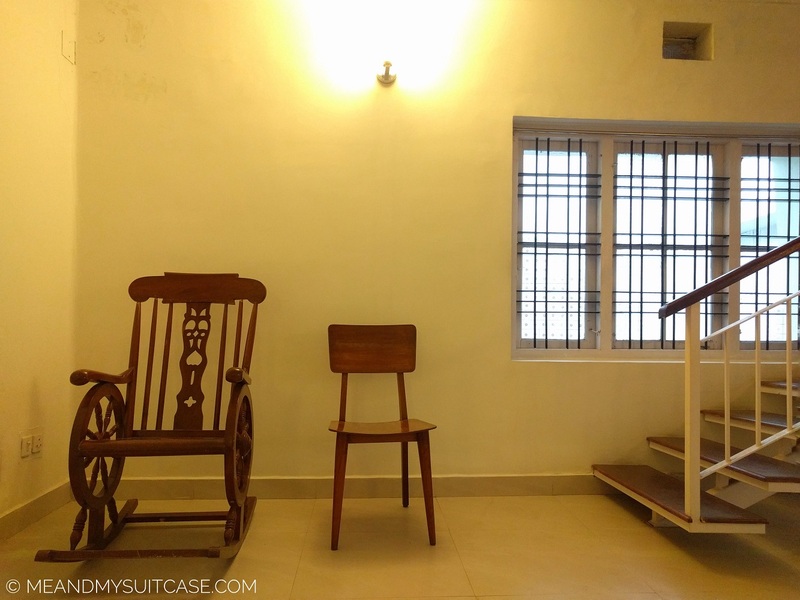 It was a welcoming change away from the hustle bustle of Mumbai. I loved the time I spent here. 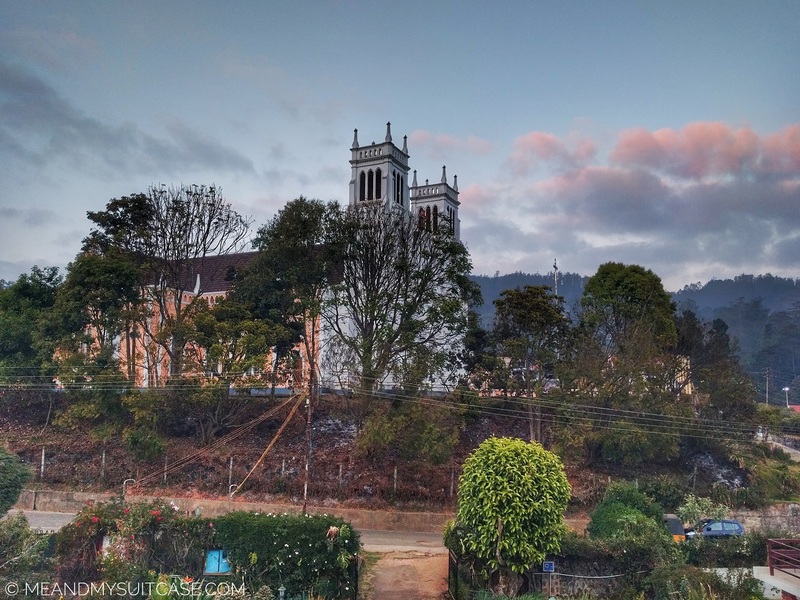 Start with visiting Doddabetta which is the highest mountain in the Nilgiri mountains at 2637 m. Nestled among the reserved forest, you can view Ooty city, Coonoor, and Coimbatore side from the telescope house. Elk hill Murugan Temple. This is very less explored, in fact not many tourists know about it. I was grateful of visiting this beautiful and captivating temple. Highlight was not only the panoramic view it offers but also Lord Murugan's 40 feet (approx) tall golden statue. Ooty Lake. It is a beauty and you can enjoy not just boating here but also many entertaining activities. It is also a paradise for foodies. St. Stephen's Church, more than 100 years old and has precious glass stained painting. Botanical Garden. Spend some time in this vast, 55 acre garden which was established in 1848 and has innumerable variety of flora. Nilgiri Mountain Railway. Come to Ooty and not enjoy a joy ride in the Toy Train? Its a must. Wanna enjoy it to the fullest? One way up to Coonoor in General and way back in first class, just do it and you will know. Wander around city on foot, have coffee and pizza at Willy's Coffee pub or Earl's Secret for fine dining. Shopping in Tibetan market (next to Botanical Garden). Did you take a ride on the toy train? No. They ain't like ladakh. I mean, altitude plays a big role. These are fun curves but can cause problem if you are empty stomack. Looks like a great place to stay at. I have always loved staying at heritage properties. They have an initimable charm. That is so true. Their charm is incomparable. Thanks for sharing your article. I love visiting tea and chocolate factories so that would be perfect for me. Ooty Lake looks amazing. 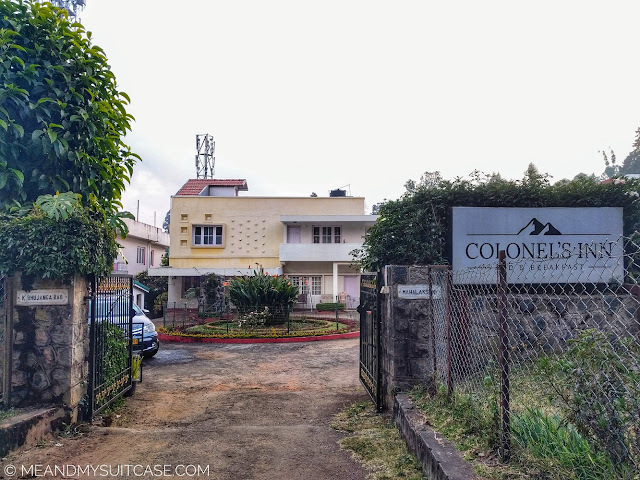 Definitely Colonels Inn is the place to stay when visiting this region. Ooty is indeed a lovely place. Wow what a drive to reach Ooty - 7 hours from Kodaikanal to Ooty is a big drive but great that you persevered to reach the Colonels Inn. It does look like a lovely spot to stay, especially your rating of the place is very strong. 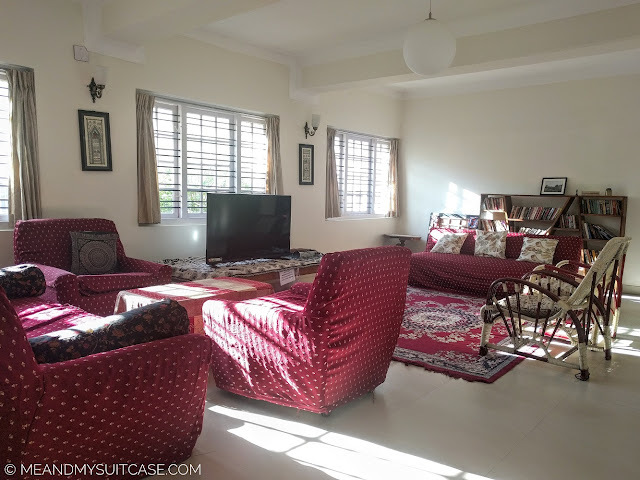 Plus the location is fantastic being close to many of the key attractions of Ooty like the UNESCO Heritage - Nilgiri Mountain Railway aka Toy Train. The Colonels Inn sounds like a lovely place to stay! I would love to stay there and visit Ooty Lake. St. Stephens Cathedral also sounds very appealing. I will have to look into visiting Ooty further. Thank you for sharing about this peaceful place! I must say that you make the most charming trips and stay at the most charming of places. It is completely correct that the pleasantness of the staff makes a great stay. I was intrigued by the things to do there , the Lake especially caught my attention as well as the Toy train. thanks for introducing this place. This is an amazing property where I would love to take my family to. A weekend will be fine, what do you suggest? 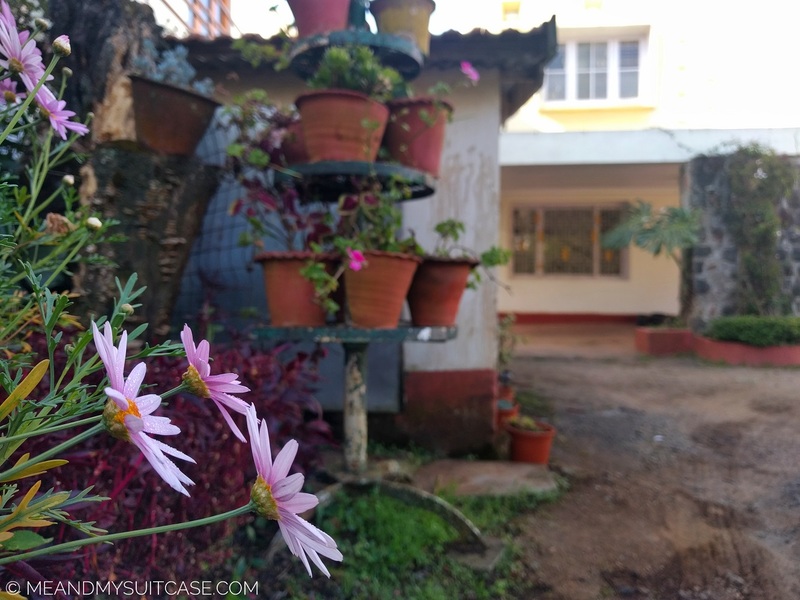 I can get to explore Ooty also during my stay here. I must say, I loved your pictures. I have given a small gist on what you can do at the end of the post. If you need any more details you can connect with me anytime. I will help you with planning your trip. Looks like a cozy stay and sounds like you had great hosts too! I'm a huge foodie too so Ooty Lake would be a must for me. Oh and you had me at tea and chocolate factory! Will defs be checking that out if I'm ever in the area! Glad you liked my experience and would love to try them out too.